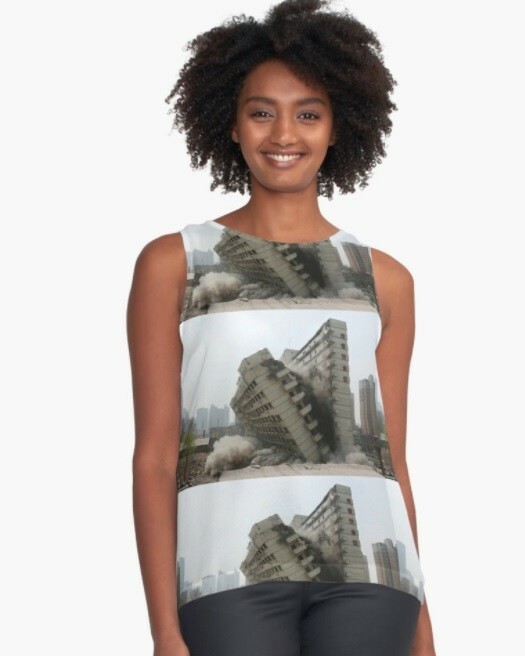 A collection of clothing items printed with images of buildings throughout the world undergoing planned demolition. 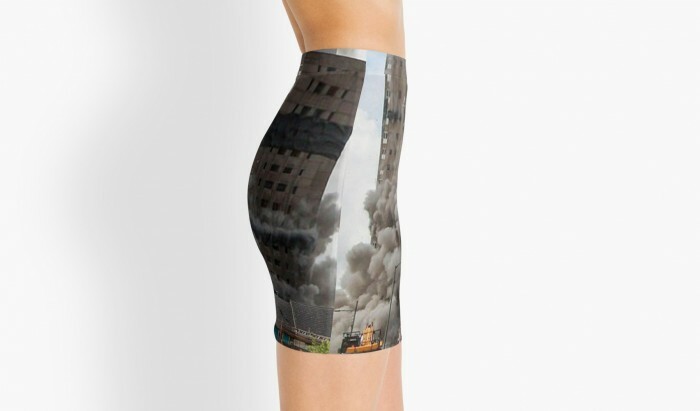 The clothes are all standardized products offered by website redbubble.com, that any user can have printed with any image they like in order to purchase themselves or sell to others; allowing anyone to be “creative” but within clearly defined parameters. I was thinking about this standardization but also the way in which images are circulated online and detached from their original intended contexts – the way they morph as they transition between virtual space and physical locations. 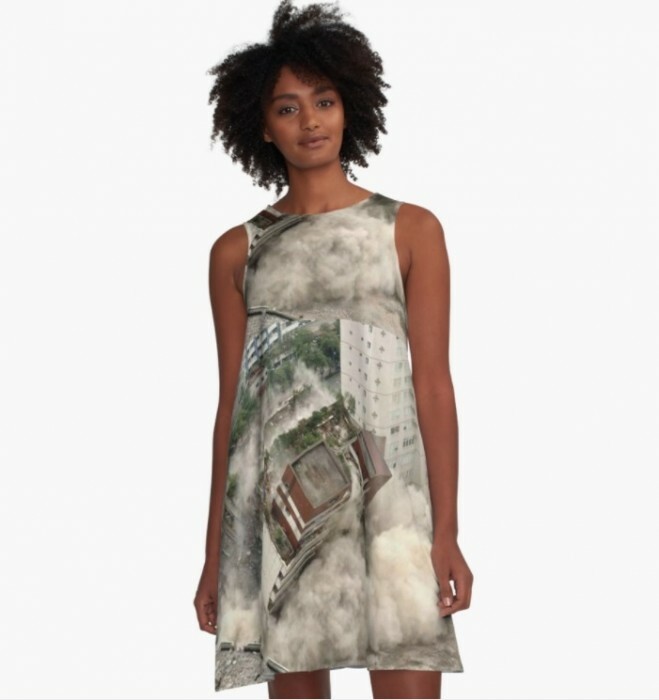 The clothes have featured in performances and are for sale, allowing bodies to feel at one with these buildings of the recent past. For price enquiries or orders, please send me an email.